More of Danny and his pooptastic dinosaur! 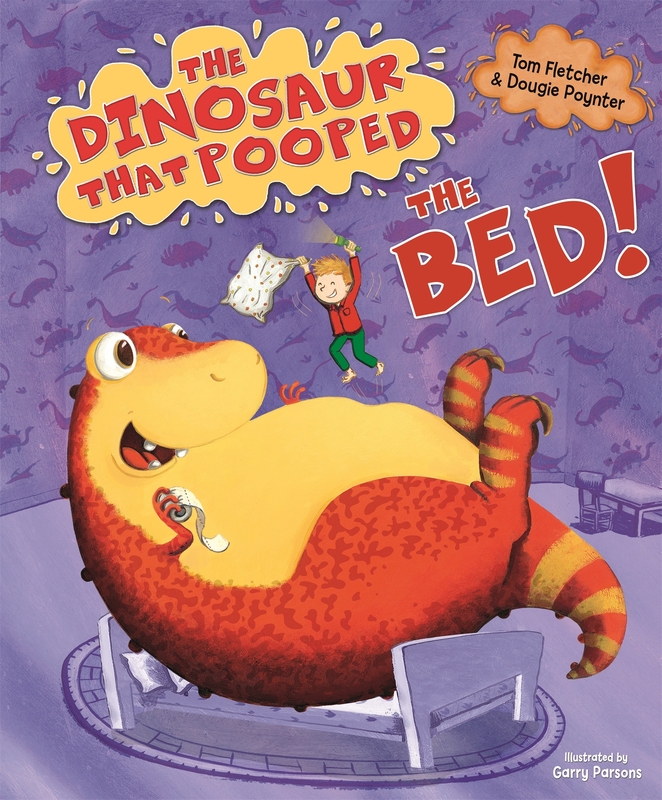 Danny and his dinosaur are bored and looking for something to do, so his mum says they can watch cartoons – AFTER Danny’s room is clean. They dejectedly trudge off to make a start but realise it’ll take AGES! Then Danny has an idea………. The story is told in short sentences that rhyme and are catchy to read aloud. The illustrations are bright and colourful, helping to bring the story to life. I love how the subject matter is gross but funny, and how many children find poop funny?! Another brilliant book in an appealing series, this will delight any child and most adults. My copy was immediately pounced upon by the 30+ yr old flatmates, before making my 4 yr old test reader delirious with joy. Her mum isn’t as thrilled though, as she will read this every night until he next one comes out. Meet Rafe Katchadorian, a weird kid in a school where drawing is all he’s good at. English and maths never was easy for Rafe, and the bullies of his middle school make him suffer for it. If that isn’t bad enough, his problems worsen as he is put in a special needs programme for kids who need help with learning. But when he makes a new friend, his school life changes forever. 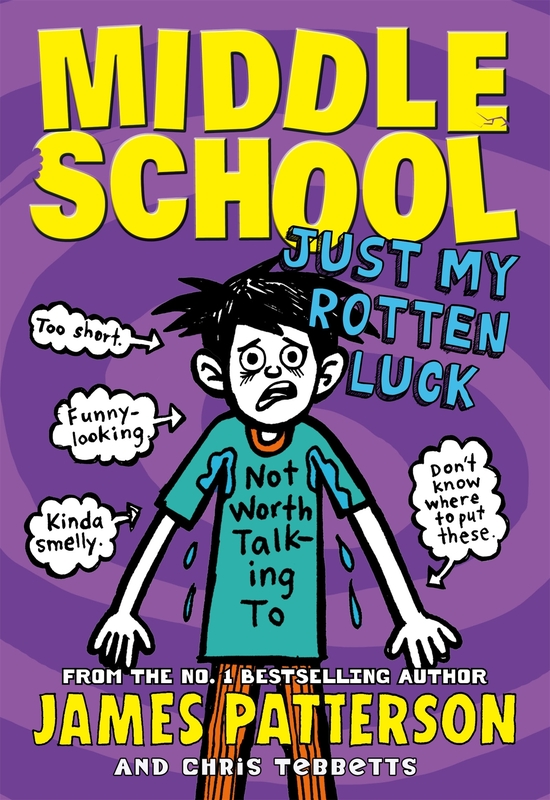 Just my rotten luck is a wonderful story for all to enjoy. Once again James Patterson managed to include a slightly adult element to the book, making it a great read for anyone. The book displays a detailed sense of drama giving it a reality rarely seen in other children’s books. I loved Just my rotten luck. It’s a spectacular piece of writing and I highly recommend it for the book’s comedy, drama, and all round believability. It’s a great read, and I’m glad it’s in my book collection. All 10 books featuring the beloved Hairy Maclary from Donaldson’s Dairy! Each story features the intrepid little terrier and his friends, all have rhyming names. The plots are simple and involve Hairy and his friends in adventurous scenarios. They often are pitched against local cats, who are led by Scarface Claw, the toughest tom in town. The pictures have more detail than is described in the text and is full of easily recognisable items. The story is told in brief words that are descriptive while having a rhythm that make them easy to read for little kids and ESOL learners. The repetitions permit a young child to anticipate what is coming next, and repeat the words. There is a CD included that features all the 10 stories read out loud. 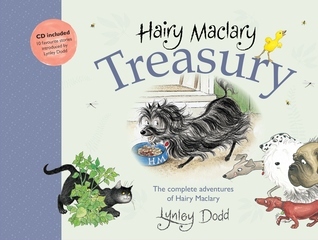 Lynley Dodds introduces each story with an entertaining account of how it began and the introduction in the book shares how the Hairy Maclary became a book. The only concern about this book is its hardcover and could be too big and heavy to hold long, especially for children. I loved reading this, as at 36 I was a bit too old to discover Hairy Maclary when the first book came out in 1983. I do remember Slinki Malinki though and possess a copy of ‘My Cat Likes To Hide In Boxes’! I highly recommend you buy a copy; children will love the read—along CD and Hairy Maclary is a kiwi classic.